One week spent among the most powerful and rich entrepreneur in the 90's Red China. A journey into Red Capitalism. 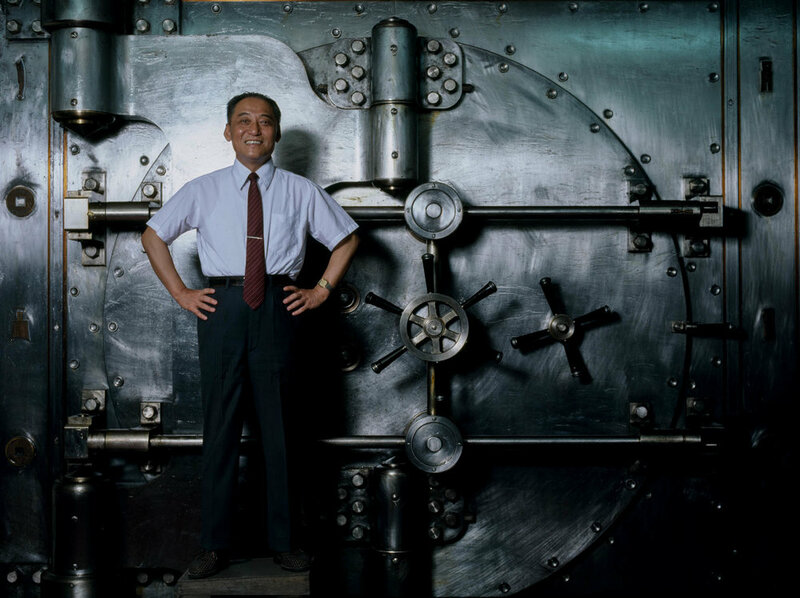 Shanghai, China - June 1988 General Director of the Bank of China Xue Jingcheng stands guard near the door of a safe holding 10 billion dollars. Shanghai, China - June 1988. In 1983 Yan Runtian became the General Manager of the Shanghai Harbor Company and he has been nicknamed "the gatekeeper of China". Beijing, China - June 1988. In 1983 Wang Guang Ying became CEO of the Beijing Ever Bright Industrial Company (BEBIC), specialized in construction. Shanghai, China - June 1988. Ren Bai Zun is CEO of the Jin Jiang Holding company, specialized in tourism and hotels, owning two thirds of the hotel rooms in Shanghai as well as 80 companies involved in all sectors of the Chinese industry and economy. Shanghai, China - June 1988. 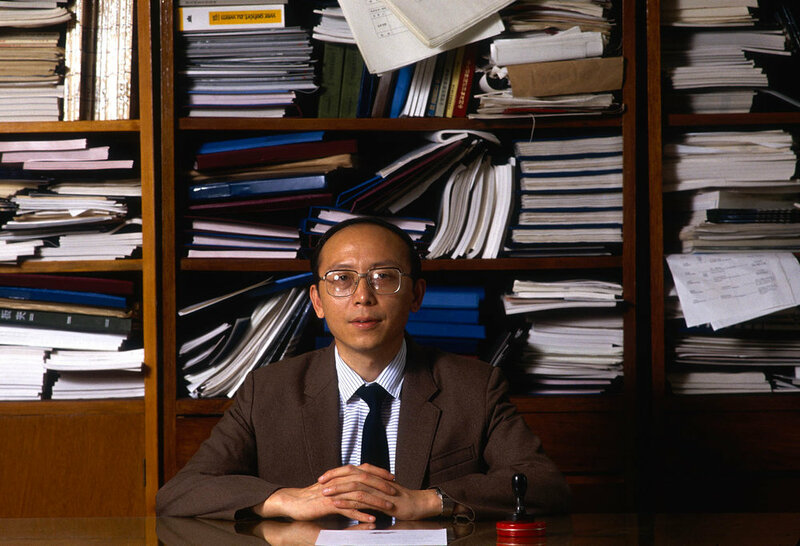 In 1983 Xu Deen became CEO of the China National Technical Import Export Corporation. 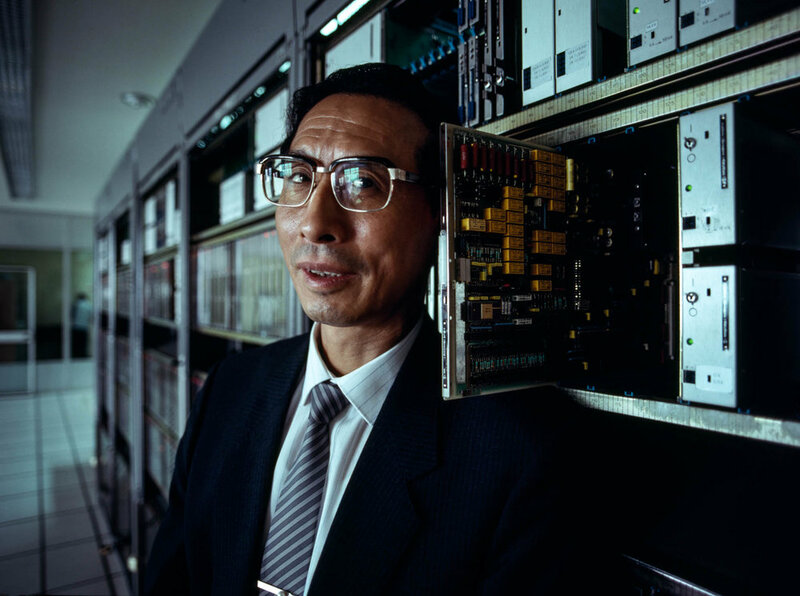 He inaugurated Beijing's first electronic telecommunication center. Shanghai, China - June 1988. Wang Daohan was Mayor of Shanghai between 1980 and 1985 and built the modern Shanghai through the urbanization plans that turned the city into an industrial center representing 9% of the Chinese economic activity. Shanghai, China - June 1988. Ye Long Fei, director of the Shanghai Foreign Investment Corporation. He is the only one taking the decisions regarding the city economic plan. Shanghai, China - June 1988 Yia Zhenzhi is the director of the CCPIT, one of Shanghai's oldest institutions founded in 1956. Shanghai, China - June 1988. Shen Beizhang has been director of MOFERT since 1986. Representing the city government, he is in charge of Shanghai's international trading. Beijing, China - June 1988. Ron Yiren, nicknamed "the Red Capitalist", owns 200 companies, including only independent bank of China. Shanghai, China - June 1988. 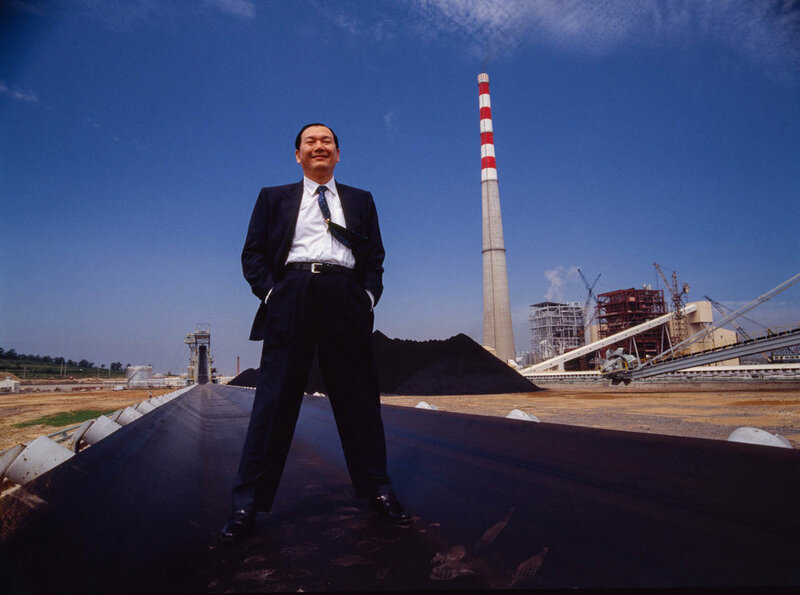 In 1985 Wang Defang became CEO of the Huaneng International Power Development Corporation. Shanghai, China - June 1988. Lin Hanxiong is the Chinese Minister of Construction. Beijing, China - June 1988. Ma Hong is the director of the Chinese Center of Research on Economic, Technical and Social Development. Beijing, China - June 1988. Five-time minister in the Chinese government and CEO of Kang Hua Development Corporation, Tank Ke owns more than 50 companies after spending five years in a reeducation camp during China's Cultural Revolution.